How are you today? Great! SUNDAY, January 24 – I’m rested, my energy is returning, and my dirty house must pay the price. 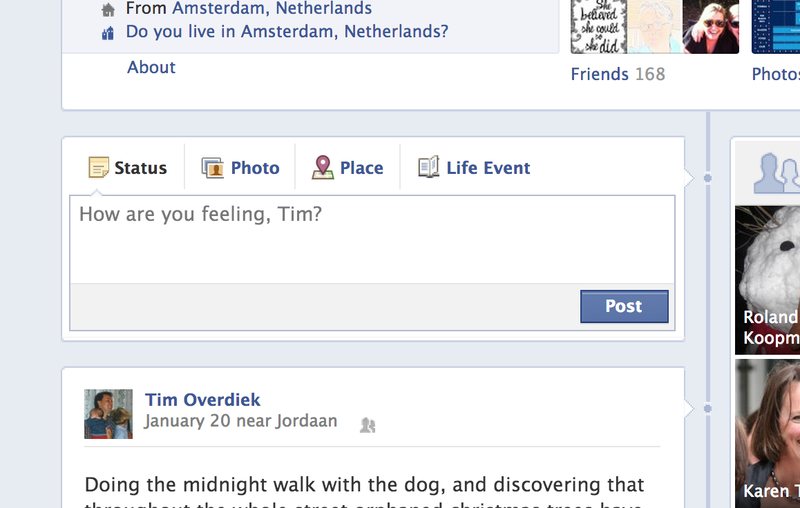 I feel an urge to embrace the outside world, starting with Facebook. Sometime ago I turned my back on most of my virtual friends. My scribbled messages were too personal. Now I want to make friends again, invite them to become part of our daily life again. There’s nothing to hold me back: the windows are wide open again.